By the time the song Chain Se Humko Kabhi was recorded sometime in 1972, it was apparent the Asha Bhosle-OP Nayyar combo was moving away from each other, both professionally and personally. The song was composed by OP Nayyar, written by SH Bihari and sung by Asha Bhosle for the Sunil Dutt-Rekha dacoit drama Pran Jaye Par Vachan Na Jaye (1974), directed by Ali Raza . It is said to be the last song recorded by the singer-composer twosome bringing to an end one of the most brilliant combos ever in Hindi cinema. Along with SD Burman, it was OP Nayyar who was instrumental in Asha Bhosle’s phenomenal rise to the top from 1957 onward. 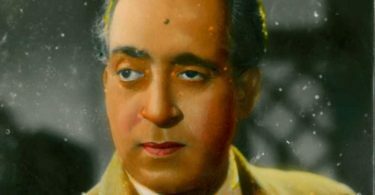 The Bhosle-Nayyar composed musical history through films like Tumsa Nahin Dekha (1957), Naya Daur (1957), Sone Ki Chidiya (1958), Howrah Bridge (1958), Ragini (1958), Phagun (1958), Kalpana (1960), Jaali Note (1960), Basant (1960), Ek Musafir Ek Hasina (1962), Phir Wohi Dil Laya Hoon (1963), Kashmir Ki Kali (1964), Mere Sanam (1965), Sawan Ki Ghata (1966), CID 909 (1967), Humsaya (1968), Kismet (1968) and many, many others. Thanks mostly to Nayyar, and to a certain extent SD Burman and Ravi, Bhosle became second to none among female playback singers in the country, barring elder sister, Lata Mangeshkar. And it must be noted here that Nayyar, who shaped Bhosle into his leading female singer, is the one prominent composer, who did not record even a single song with Mangeshkar! While Anuradha Warrier in her blog piece The Mystery of the Missing Songs says the song was filmed on leading lady Rekha but not retained in the film, according to Bhosle’s biographer, Raju Bharathan, the eerily prophetic song was never picturized and was removed from the film before the shooting stage itself. Bharathan in his book on Bhosle, Asha Bhosle, a Musical Biography, mentions that he drew printed attention to it being a milestone creation marking the parting of ways between Bhosle and Nayyar. Quoting him, ” I know of fans who wept. This, as they rang me up to know if it was really true – if it was true, how by the remotest chance it could be true? Knowledge that OP would no longer compose for his Asha lent a tone and a tang all its own to the wording: Aap Ne Jo Hai Diya Woh Toh Kisine Na Diya (What you’ve given me, no one could possibly give). In jest, I would say that it makes sense on on level that the song is not in the film. For Pran Jaye Par Vachan Na Jaye is a typically mediocre dacoit potboiler, one of many done by Sunil Dutt (a big exception is Mujhe Jeene Do (1963)), so having to include a song of this quality must have truly gone against the grain of the film. And it has to be said here that none of the other songs in the film, adequate though they are, come up anywhere near the parameters set up by this song. Incidentally, Chain Se Humko Kabhi went on to win Asha Bhosle the Filmfare Award for Best Playback Singer (Female) at the 22nd Filmfare Awards held in 1975. Bhosle did not turn up to pick up the award, which was, ironically, received by OP Nayyar. It is even said that he threw away the award from his car post the Awards function and heard it break as it hit the ground. Listening to the song and seeing how beautifully Bhosle has sung it, the biggest loss is that of the filmgoers to see this song filmed on the big screen. Still, it never fails to remind us as to what incredible heights Asha Bhosle and OP Nayyar could achieve when both were on song. 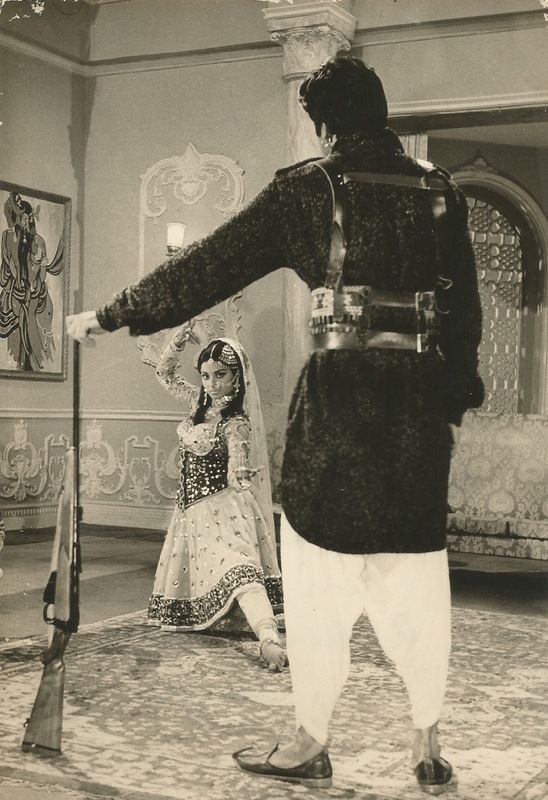 Header Photo: Rekha and Sunil Dutt in Pran Jaye Par Vachan Na Jaye. Sad to know that this beautiful song of OP+Asha combo was not present in the film. But according to myself it was picturised and then deleted is possible.